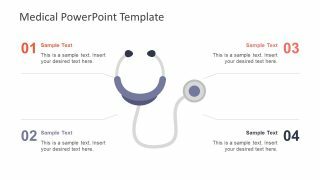 The Medical PowerPoint Template is a customized presentation for health care professionals. 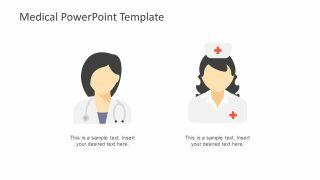 The medical PowerPoint is an 11-slide template of brilliantly design clip art icons and shapes. This template is a useful tool for health care experts to present their diverse topics. For example, explaining the outcome of research, types of diseases and cures, uses of medical instruments and advance technology. 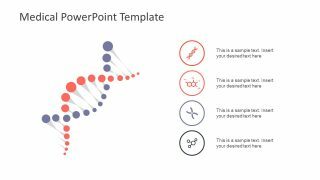 The PowerPoint is resourceful for doctors and medical students who are going to present their findings on the research project. 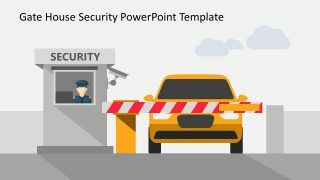 Further, the clip art PowerPoint shapes and icons are the visual aid, to support the content of presentations effectively. Although, the application of this template is not limited to health care professionals only. 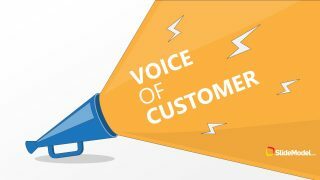 The users from several industries, such as, education, engineering, business suppliers etc. can also benefit from it. 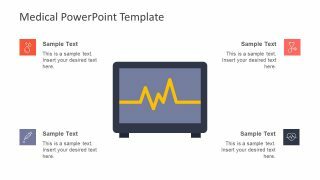 The Medical PowerPoint Template contains number of layouts for different purposes. For example, 4 segments slide with doctor clip art in the middle. 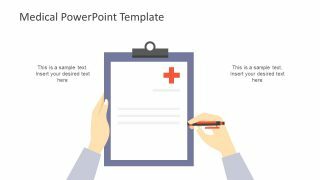 Similarly, the template showing clip art image of doctor and nurse to present their responsibilities. 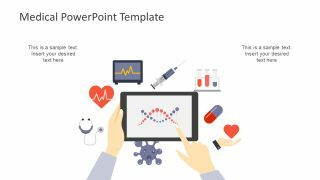 The medical clip art PowerPoint contains global designs of syringes, Stethoscope, ECG monitor, DNA and human heart. Therefore, it is usable by specializing doctors to medical students presenting their study reports. 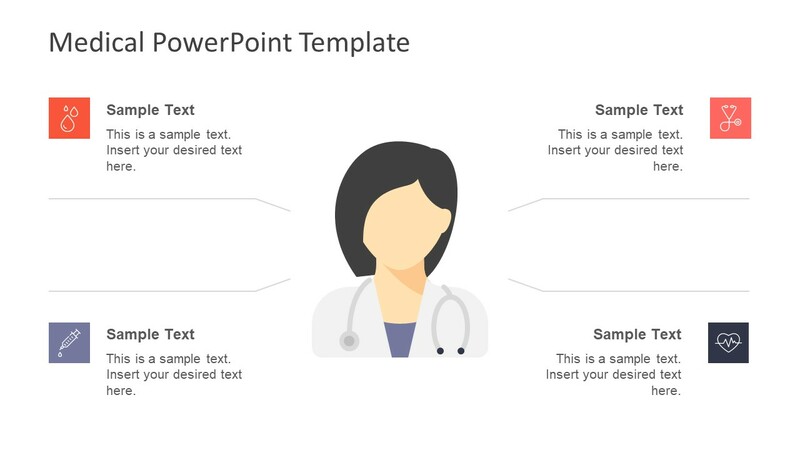 The graphics in this medical PowerPoint template are the high resolution flat design vectors. 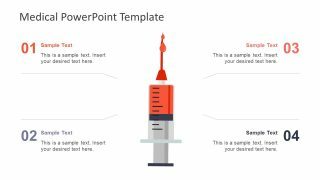 Also, it is a 100% customizable template of exceptional infographic icons and clipart shapes. Therefore, the users can make simple to advance changes. Such as, colors and size alteration to changing the effects, themes and layouts. 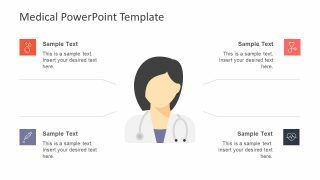 The flat vector template of Medical PowerPoint has fives slides to illustrate 4 segment diagram design. 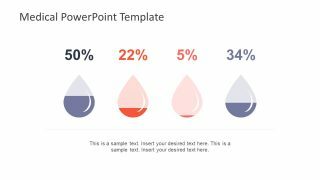 These segments have both infographic and number representation with the title text placeholders. 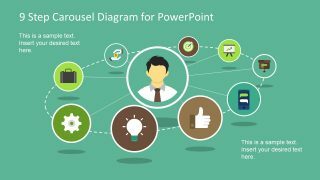 This medical PowerPoint of maximum visual aid gives an impressive and intriguing view to the audience. 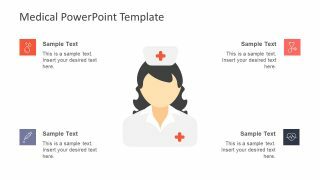 Furthermore, these healthcare slides are quite helpful in explaining medical concepts effectively. 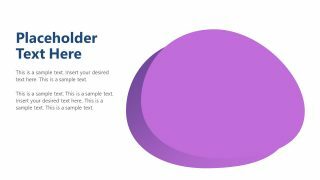 The SlideModel main catalog has variety of health care template to assist in perfect presentation visuals. 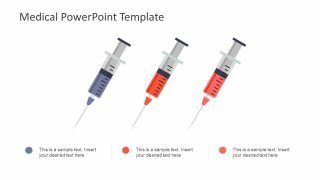 For instance, take a look at the healthcare industry graphics and medical research PowerPoint.